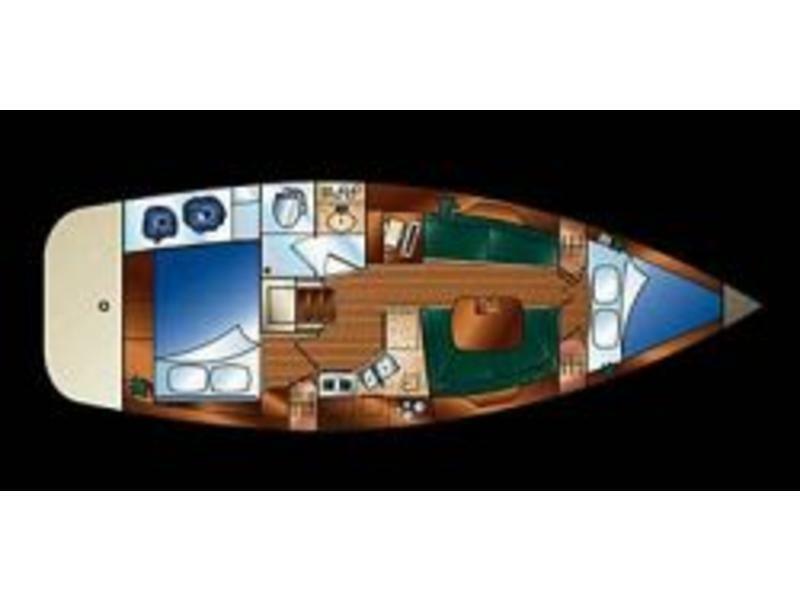 This Hunter 36 features an extra wide beam spanning nearly the entire length of the boat to maximize both topside and interior accommodations. 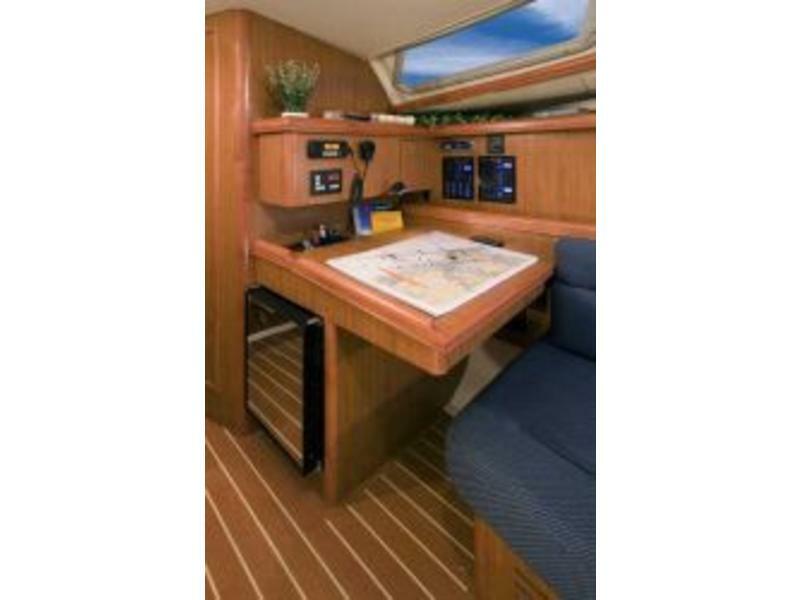 A large sail locker onboard easily stores gear, while the generously proportioned cockpit features a Lewmar steering system, fold-up tables and plenty of room for relaxation. 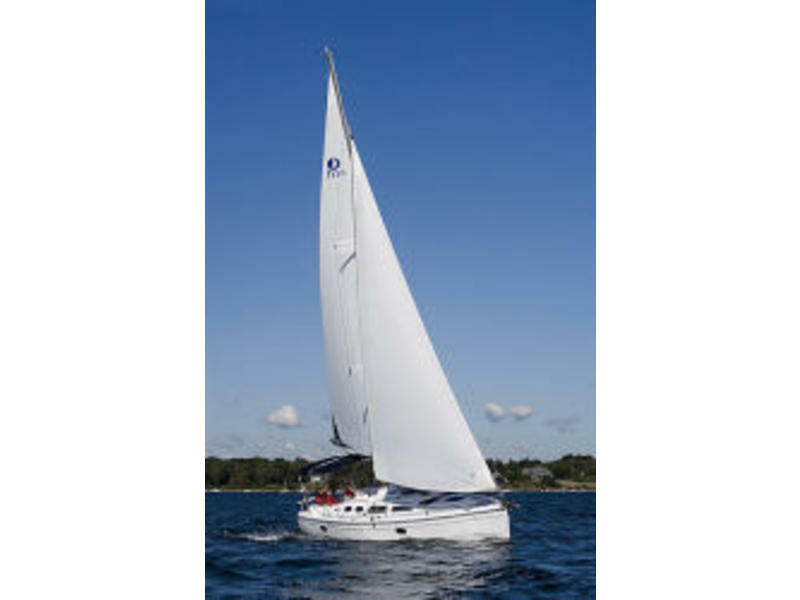 Sail DREAM CATCHER today and experience a boating sensation like no other! 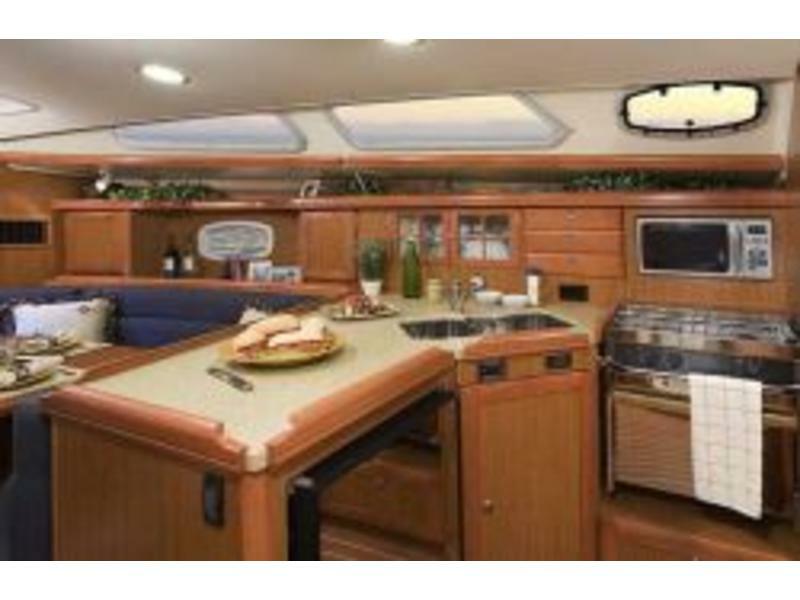 An entertainment-sized salon is center to her lavish interior and is flanked by two private staterooms. 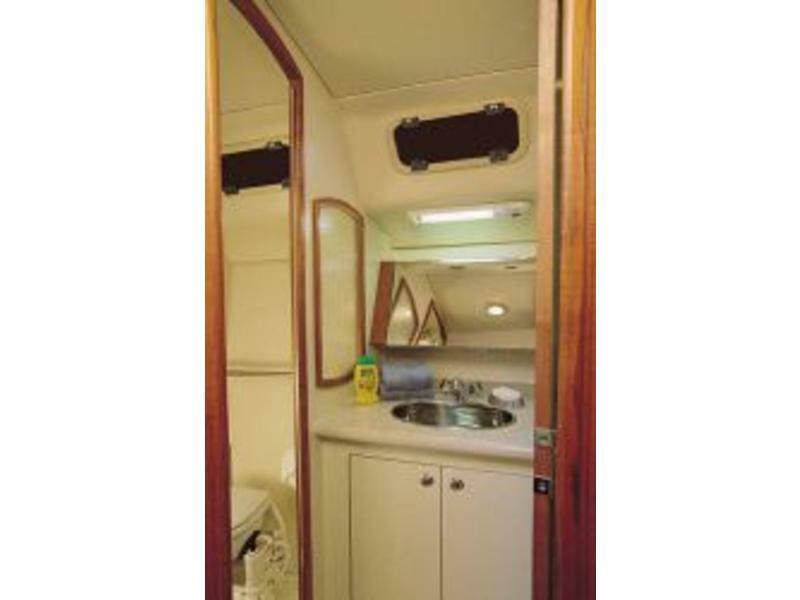 The full service galley boasts genuine Corian countertops with custom teak fiddling, a double-bowl stainless sink, two-burner LPG stove, and even a microwave as standard equipment. It’s even complete down to the dinnerware! 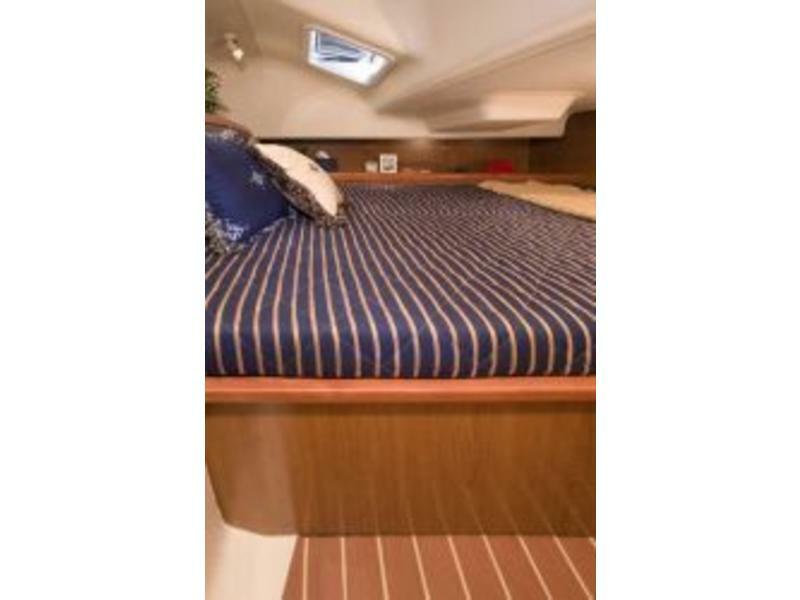 Further aft to port, a separate head and shower await you with comfort and spaciousness. Would you believe six and a half foot of headroom? Lastly, the master stateroom is full-beam and features a queen-size athwartships berth and plenty of storage in cedar-lined hanging lockers. There is even a mammoth “Euro-Locker” that will swallow your spare canvas! 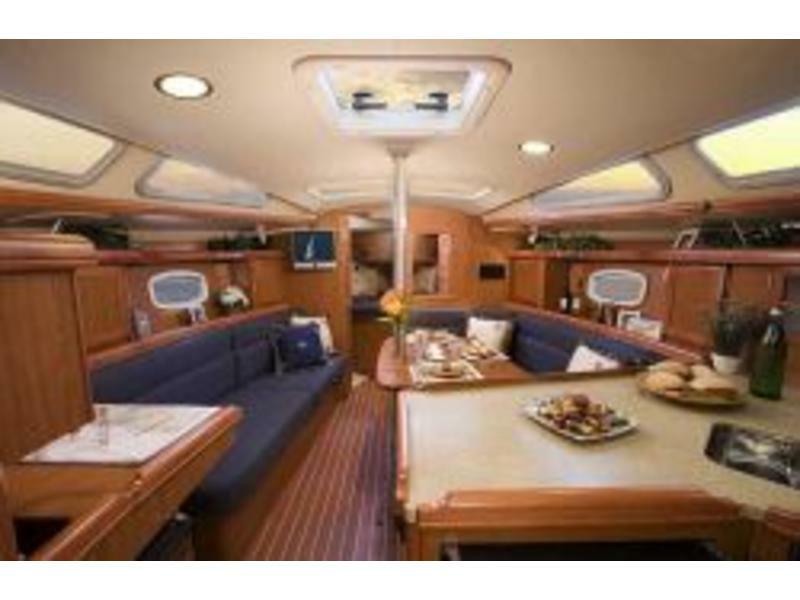 This interior rivals that of much larger boats and is finished to the level of semi-custom yachts. Privacy, storage and comfort – your friends may never want to leave! 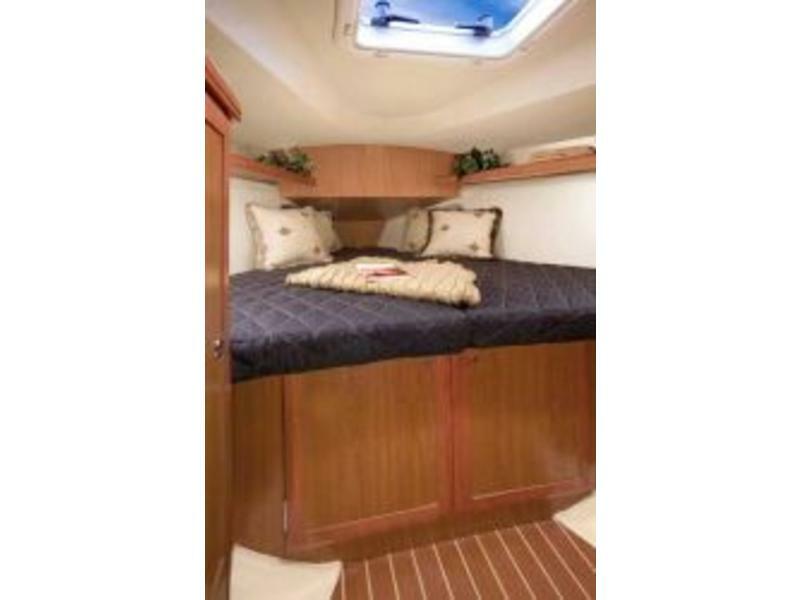 Abundant natural light and good ventilation in the forward stateroom will please everyone. An innovative slatted opening in the bulkhead allows for a more roomy feel when the guests are gone. The hanging lockers are cedar-lined, and standard reading lights make devouring that novel a breeze.